Free Valet Nightly and Sunday Brunch. Wine Dinners, Happy Hour Monday through Saturday 11 am until 7 pm, Rehearsal Dinners, Weddings and all special and corporate events. 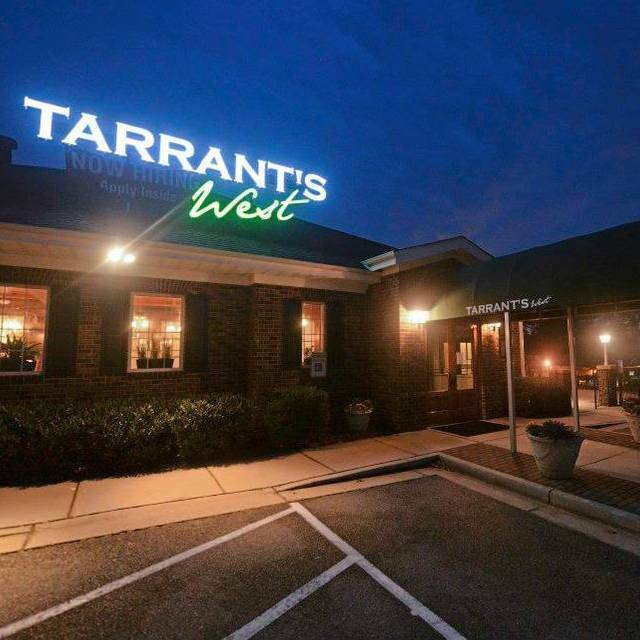 Located in the West End, near Innsbrook and Short Pump, Tarrant’s West boasts from scratch soup, salads, pizza, subs, seafood, steaks, and an extensive wine, craft beer and craft cocktail list. Unique specials and seafood entrees. Beautiful decor. Patio and Sunroom. From dine-in, to delivery and pick-up services, Tarrant’s West has something for everyone, 364 days a year, we’re open from lunch until late night. The private dining area, and outside seating are favorite features of locals and travelers alike. Free valet parking evenings and Sunday brunch. 4x6 Happy Hour: $4-6 food and great drink specials from 4-6pm weekdays at the bar. Went to Restaurant Week there and omg it was so much food for $29.15! I have my lunch and dessert for tmrw. Enjoyed myself. 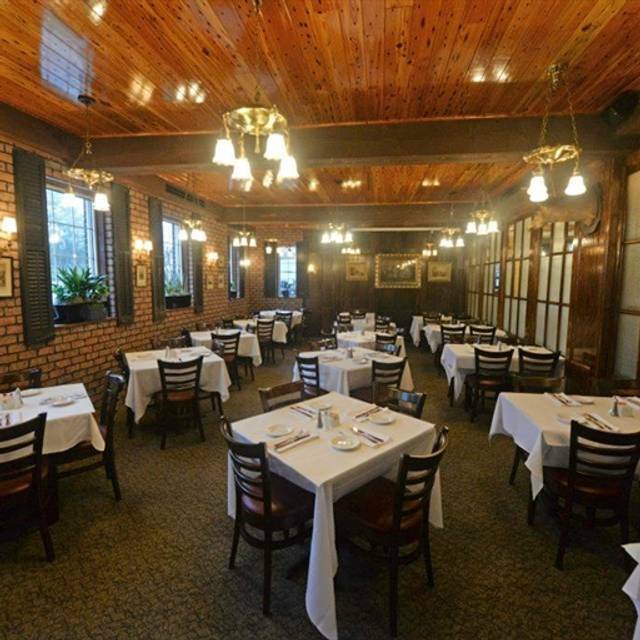 We love Tarrant’s and always pick this restaurant for Restaurant Week. Our choice to sit is on the patio, but if you want happy hour (as a lot of restaurants are doing) you need to sit in the bar area. Makes no sense. The food and service was excellent. We were sat in the main dining room and before dessert we were surrounded by people enough for them to participate in our conversations. Overall, the food/service will make us coming back for more. Great lunch, service was wonderful -she allowed us to talk but never intruded, but made sure we always had what we needed. I like the regular menu. But it was a buffet menu for Easter Sunday. We didn’t think to look it over first. The food was cold. Even the eggs and waffles. Since it was a Sunday buffet they could have at least made the waffles and or eggs fresh to order in the kitchen. The food should have been hot on the buffet. The server was pleasant. 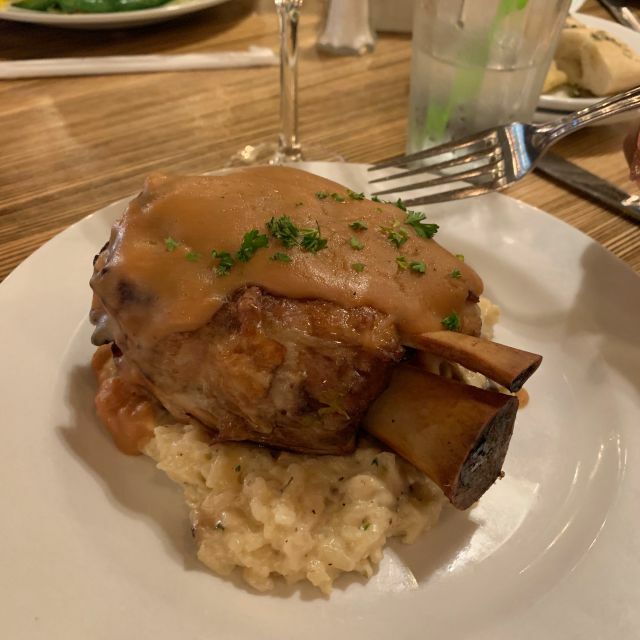 the service was great, the food was okay (the salmon was dry, the crab stuffed tilapia was just a layer of crab meat stuffing and filet of tilapia laid on top, the bacon was very under cooked). but for the cost of the brunch i really expected more from the food and the variety offered. I was very disappointed by the experience and i am not sure if i will be returning. Especially for a brunch. Always a pleasant experience at Tarrant's West. During buffets seating is a bit crammed. Also would like if one complimentary alcohol beverage was included in the price. Very nice local restaurant. Best to make a reservation. Service was good and the waiter did not hover but was responsive when we had a question. We had a birthday dinner there for my husband. Everything was very good from the she crab soup to every sandwich. The dessert was excellent. We enjoyed our evening. However, we were placed at a table that was close to a corner where we felt very crowded. We had reservations so I would expect you would place walk-ins at a table such as that instead of those who had reservations. Too expensive for the quality - food was mediocre. Our waitress Hannah gave us excellent service though. I ordered from the nightly specials portion of the menu. The watermelon salad with balsamic vinaigrette dressing was good but not great; it is a bit early for good-tasting watermelon. For my entrée, I had the flounder stuffed with crabmeat. It was very good. The bread was very good as well. I did not have dessert. Enjoyed our meal of about 8 different dishes very much. A Thursday evening. Very good service. My only feedback suggesting a need for change: the mashed potatoes that accompanied the ribs. They truly tasted like bland, engineered potato flakes. Not worthy of a restaurant with otherwise great food. If mashed potatoes are offered, they should be salted, made with 1/2 and 1/2 or cream and butter. Just my two cents. I could not even eat them and mashed potatoes are one of my favorite foods. Really liked the decor, the feel of the place and the very generous selection of menu items. Thanks for listening. This was my first time visiting this restaurant and I will not be returning. I am a seafood lover, so when I ordered the crab soup and it came out like a thick gravy, with specs of crab, I was very disappointed. I also ordered the seafood dish with fried Tilapia, crab cake, and shrimp. The Tilapia was softly fried and very thin and small pieces. The crab cake was ok, but not great. It was breaded and didn't have the lump crab experience as expected. Shrimp and scallops came with the meal. I asked for extra shrimp in place of the scallops. I received 4 shrimp in total that looked like they were fried the day before and heated up. I guess I was going to get two shrimp and two scallops? None of my food was hot and fresh in taste. For desert, I ordered the triple berry cobbler. My friend's came out nice and hot with steam coming from the berries, ice cream in tact. My desert came out, lukewarm and swarming with berries to the point that it consumed my crust and ice cream within minutes. I was left with a blob of blue berries and it was very disappointing. Not sure how we ordered the same desert and they came out so different. We had friends from out of town and we took them and had a thoroughly enjoyable dinner! Continues to be one of my favorites for a business lunch. We were a table for 4 on a Tuesday evening. A party of 8-12 in the dining room and a private party in the bar area limited our seating options, so we chose a table near the kitchen (can you imagine?) as the best option available. The choice was a good one. Our server was absolutely excellent; the food was superb as usual; and, the noise level varied from acceptable (able to hear each other at our table) to a little energetic, but still ok. With a perfectly-mixed martini or two before our meal, the to-die-for she crab soup, a smorgasbord of fresh, nicely prepared and beautifully presented dishes for our meal and a delectable apple/ice cream dessert, we were well satiated. We enjoyed an extended meal experience in a lovely casual environment with adequate, no hassle parking available. Location is a huge plus! Tarrants' West is a favorite and we will indeed be returning again and again. It started out well, we ordered our dinner the food was excellent . However when we placed an order to go it took an hour for the food to come . 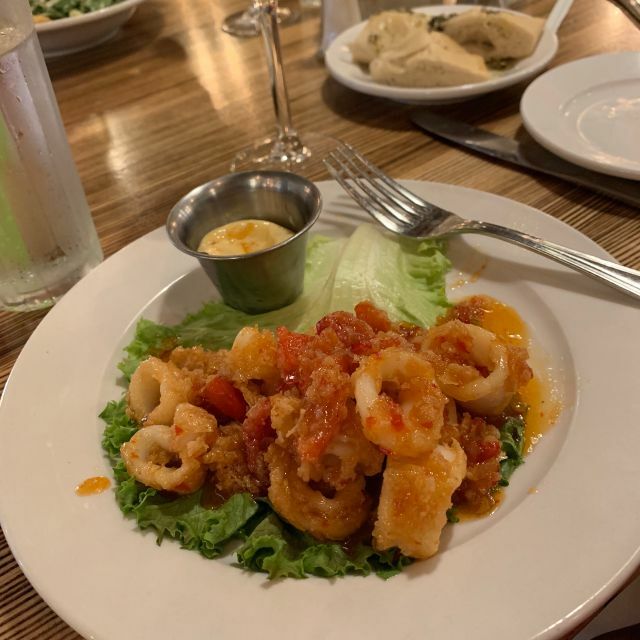 We stopped at Tarrant’s on our way home from the outer banks and had to go a fair distance out of our way to get there, but having dined with them before, we knew it would be worth the trip. To be honest, while the dinner was great, my singular motivation for going was the triple berry cobbler which is an incredible mixture of flavors! My wife’s scallops were cooked perfectly and my penne pasta was very tasty. If you are in the Richmond area, go out of your way to dine here. The staff is very friendly and the food is fantastic! We were at Tarrant‘s West about a month ago and I got the filet mignon dinner. It was outstanding, so we decided to go again to celebrate our anniversary. I ordered the same exact meal and it just wasn’t very good. The fillet had some kind of tomato sauce on it that changed the whole flavor. The vegetables are over cooked and had too much oil on them. And the noise level was very high since so many people are seated too close together. I really didn’t enjoy the dinner this time and can only give it 3 stars. It was a girl’s night and we enjoyed our meal at the restaurant. The appetizer’s were a big hit with the ladies as well as the drinks. The only bad part is one of my friends had trouble parking. I view that as one of the big issues with this restaurant, so I take that into consideration when making plans to eat there. 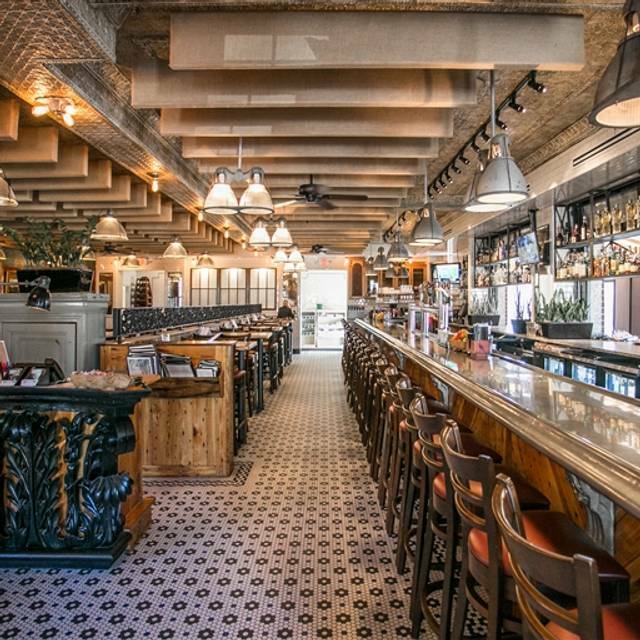 Tarrant's West is one of my go-to spots b/c it's always good and it's not Short Pump. This visit was on a Wednesday night and it was fairly empty. I waited at the bar for my date and waited a surprisingly long time for service considering how empty it was. Note to self: if I want to be able to hear my date, don't choose the patio. These are minor gripes. The food is great. I recommend it. Terrible service. Waited 15 minutes at the bar for a drink, no bartender in sight. Finally 1 arrived, ordered a cabernet, he came back 5 minutes later and asked what i wanted, told him again and then another person came by with the wine asking who ordered the cabernet. I was with a client and this was a joke. Dinner service was awful and the food was marginal. Never again. The food is always good and the only reason we keep going back. The service is always lousy! We either get our meals one at a time (meaning we sit and wait for all to me served and meals get cold) or they just don’t get it right. Hi Cindy, I am very sorry to hear that the service is always lousy - we take time to train our staff, have meetings every shift and weekly to ensure management and staff are working well. But, I am sorry it seems service has been not getting it right. I have been working with management and up-training to ensure service is timely. I hope you can visit us again and see our improvements. They have delicious food and a very pleasant atmosphere and it was a great time. Their food is probably some of the best in town! Can’t go wrong here. Food was awesome as always. Service was excellent. A lovely setting. You can order anything from sandwiches to complex entrees. Sunday brunch is awesome. Highly recommend. Food was ok. It’s hard to spend $80 and not have an amazing meal. HiAnonymous, I am so sorry to see 2-stars. I wish I could know more details about your experience. As the owner, I am working with management and staff to provide the best service and food possible. If you would like to talk about your experience in detail - your feedback is invaluable. I hope we can always serve an amazing meal - regardless of price. Thank you! Please respond publicly or privately- Liz. WE love Tarrant's West and go there at least once every six weeks. We frequented Tarrant's Café but find the access to the Three Chopt location more to our liking. Tarrant's food is always GREAT and the service is always GOOD to GREAT! I tried a new addition to the Appetizer menu, the Brussel Sprouts. I told our server to convey to the chef, this offering is a winner and to keep it on the menu. My fried oyster appetizer was good as usual, cooked to perfection. My husband was more than pleased with his full-rack of baby back ribs, which is a HUGE serving. We alway bring home three-quarters of his ribs for a meal or two later in the week. This is the first time eating at Tarrant's West; awesome Happy Hours specials including their well-rounded menu. There were too many items to choose from and everything looked great. Can't wait to go back for brunch and dinner! My friends were all happy with their dishes as well. Tarrant's West is a very popular spot, and no doubt the food is the main attraction. On a rainy Friday night, it was packed with neighborhood clients. The parking lot was jammed, with some folks having to park far away or rely on the diligent valet service. Our table was just big enough for four, and right at the aisle to the kitchen. It was also closer than usual to another table, where you hope you can just avoid looking at the persons sitting so very close to you to give them some privacy. Service was wonderful, as were the bacon brussel sprouts and entrees. The orzo was nutty and "al dente" if that's appropriate terminology. I wish that the bill had been a bit more reasonable. The orzo entree, originally $14 as a vegetarian dish, zoomed skyward to $24 simply by adding salmon. The salmon was awesome, prepared perfectly, and seasoned well. But, our entire bill for two was about $80, with only one alcoholic beverage and one dessert. That's a bit much for casual dining after a long work week. Brunch was good but similar to many other restaurants— well short of outstanding. Great food with welcoming service. We especially loved the fried oysters and she-crab soup. Always delicious, quality meals here! Bruno R. Was our server. He recommended a great wine, was very attentive, and we had a fantastic dinner. Our food was amazing as usual. Filet mignon cooked perfectly. Chicken & waffles a delight. Tarrant's West had the potential to be a lovely experience, however the restaurant left us hungry and disappointed. 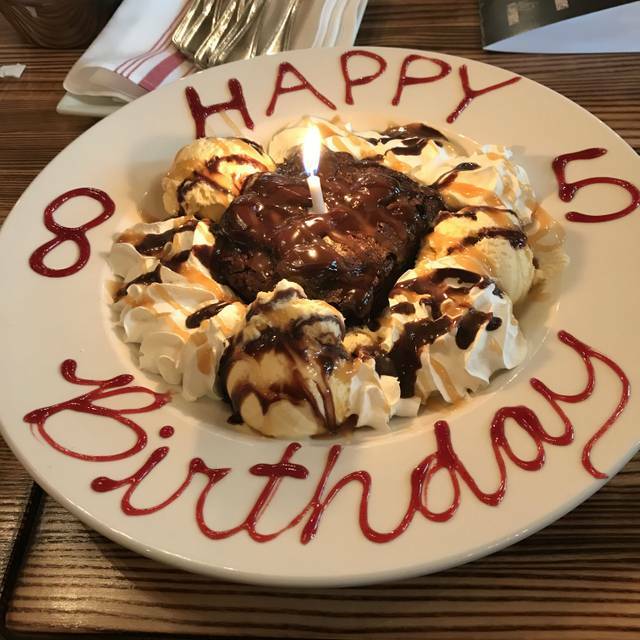 The staff wasn't rude but they weren't very attentive, we had a few people who had strict dietary restrictions, and despite request for substitutions, our food was brought to us with what they originally came with and not what we requested. The overall ambiance of the restaurant is nice until you realize they can't seem to choose between a saloon or 1600s British castle. Overall I don't think we'll be giving them a second chance, however the comfort foods portion of the menu is definitely the best option as the chicken and waffles were a star at our table as well as the pizza. The food is delicious especially the she crab soup. Our server, Bruno was excellent.